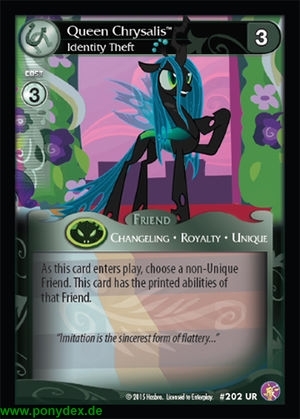 As this card enters play, choose a non-Unique Friend. This card has the printed abilities of that Friend. "Imitation is the sincerest form of flattery..."